Before buying our home, we had private rented two houses within 3 years. At the back of my head, I always knew we didn't own that house and we could have a letter at any time from the landlords asking us to leave because they've either sold the house or any other reason. Our first house we were only there for 6 months until we decided to go for another private rent house because the house was too small. The second house we moved to was a 3-bedroom house and big enough for us all. Painting the walls a colour that you like and suit your personality is one step to make your house feel more like a home. However, not all landlords allow people to paint. Some however, will allow you if you paint them a neutral colour and if you paint it back to the original colour when you move out. Adding some home accessories is a perfect way to make your house feel like a home. I absolutely love buying new home accessories for our home. Adding a rug will give your home that cosy feeling and a touch of colour. The accessories always make the last touches and give that warm feeling in a home. Having the right furniture can make your house feel more like a home. However, some rented houses are furnished, and although this can be handy, the furniture may not be to your taste. If the house in unfurnished, you don't need to buy expensive furniture, but you may need to spend a decent amount as you don't want to spend money and then it only lasting a short amount of time. As they say "buy cheap, buy twice!" When you're looking for a private rent house, you need to look at location, what kind of place is the house in, does it have a garden? And more. 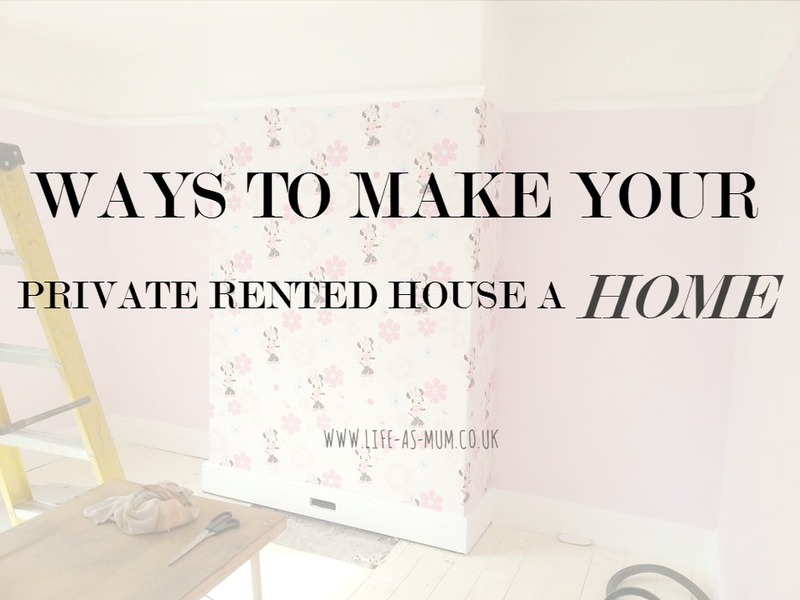 If you rent a house in a place you are not keen or not sure about, it will be hard to feel comfortable and make it your home. Other things you may consider thinking is if you don't drive if there are any close by public transport available or nearby shops. Adding photos to the house makes it feel like your own home. However, some landlords don't allow you to make holes in the walls, but there are other ways of displaying photos in the house such as using damage free hanging or displaying them on any unit you have. There are many gorgeous plants around, and if you're like me and forget to water real plant, you can go for artificial plants which are a lot tidier too, and last forever. Using a lamp instead of your room light is also a great way of making the house a home. One of the most on making your house a home is to be house proud. Trying to keep on top of it, make it your own and instead of thinking that the house belongs to someone else and think that you are going to make the house, your home. If you live in a private rent house and thinking of painting or hanging photos up on the wall, be sure to ask your landlord first before starting. Some landlords are very strict about these things.